Its been a fantastic couple of weeks for Pricilla Westlake as it has been Bowls 24/7 for the young BC superstar. Heading out to Warrilla Australia for her 1st stop at the World Cup she produced some great games just falling short of the qualifying rounds. 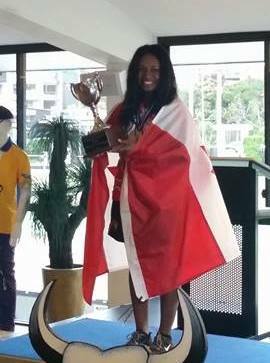 After the World Cup it was a quick trip up to the Gold Coast to join her Canadian Teammates as 4 Canadians would enter into the newly named World Youth Championships being held at Broadbeach Bowls Club on the Gold Coast. Pricilla has kept us in the loop all the way with her Bowls Digest as she shared her experiences over the course of her trip and it will be great to sit down with her upon her return to hear about the feeling of winning a World Championship title.